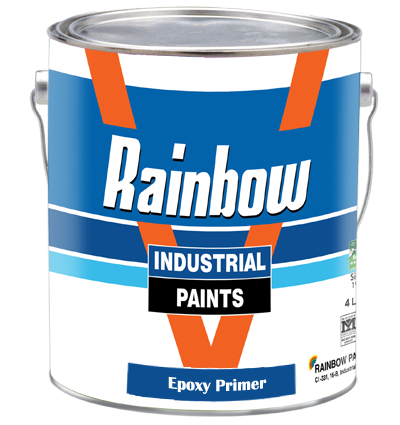 Rainbow Epoxy primer is developed to be used as a base coat for epoxy finishes. Post Life after Mixing: 6 Hours. Film Tickness: 30-35 Micron. Drying Time: S.D 2 Hours Recoatable 16 Hours. Pack: Paint 3 Liters. Hardener 1 Liter. Colour: Assorted Colours.